Music is an integral part of every worship service. We believe that music is a gift from God. Realizing that we are all called to make a joyful noise, we encourage congregational singing and participation for all ages and ability levels. We offer a wide range of ensembles, instruments and opportunities, as well as special services and performances designed to provide community outreach and mission support through music. We hope you will join us in at least one of these wonderful ways! We embrace the music of all centuries and cultures, seeking to worship God with the songs of our emerging faith, our global family, and our rich heritage. The Adult Choir is open to high school, college and adult singers. We rehearse every Thursday evening from 8:00 to 9:30 p.m., with an “Expresso” rehearsal on Sundays at 9 a.m. The Adult Choir sings at 10 a.m. worship two or three Sundays a month from September to June. For more information, contact our Director of Choral Activities, Tyler Cesario. The Tyler Bell Choir plays 5-octave sets of Malmark handbells and choirchimes. Our multi-generational ensemble is well known in South Jersey, and is often invited to perform in concerts and services outside our church walls. The Tyler Bell Choir rehearses every Thursday from 7:00 to 8:00 pm, and provides music for worship on the fourth Sunday of every month from September through June. We also play for special services and often collaborate with other instrumentalists and ensembles. For more information, contact our Director, John Polhamus. True to our name, we are joyful and we raise our voices in a wide variety of songs. There are special parts in our music for the younger singers and the youth singers. We rehearse on Sundays after church from 11:15 am – 11:45 am, while our parents have coffee. 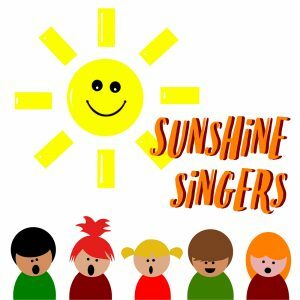 The Sunshine Singers usually sing in worship one Sunday a month from September to June, and participate in some special services during the year. For more information, contact our Director of Choral Activities, Tyler Cesario.